Direct microscopy is considered the “gold standard” in environmental mycology for determining the existence of fungal growth on surfaces or materials. The direct observation of fungal spores, spore-bearing structures and mycelium provides an unequivocal marker of past or current growth. Direct microscopic examination of tape or bulk samples should first examine the specimen in reflected light at a magnification of 10–40 × for gross evidence of colonization. After that, preparations from one or more areas of the specimen should be prepared for evaluation by transmitted light microscopy at higher magnification (e.g. 400–1000 ×). There are two basic methods for examining bulk specimens by transmitted light microscopy: 1) adhesive tape lift and 2) scraping/ shaving. Bulk samples include 1) solid materials like wood, 2) fibrous materials such as carpet and dust, and 3) powdery materials like drywall. The direct evaluation of bulk samples is informative because the observation of fungal filaments is a conclusive marker of fungal growth and represents an unacceptable condition on indoor materials. The collection of bulk samples is also usually simple in the field, and the examination of these samples is typically straightforward in the laboratory. Collect a 1–2 g sample of bulk material using a clean knife, chisel, or other implement suitable for the material in question. The collection tools should be sterilized by saturating the surfaces with 70% isopropyl alcohol (the surfaces should remain damp for at least 2 min) prior to use. If the sample is dry, place it in a sturdy closable plastic bag such as a zippered freezer bag. Damp samples should be placed in a clean new paper bag or envelope in order to prevent fungal growth in transit post collection. Damp samples should be received by the laboratory no later than 24 hr post collection. Dry samples can be retained for a longer period of time prior to analysis without producing spurious results. For nearly a century, shellac peels have been used to collect and study foliar diseases of plants. More recently, these methods have been modified to assist in the examination of bulk materials and fixed surfaces from indoor environments for the presence of fungal growth. Adhesive tape methods are more practical than liquid shellacs because they do not require lengthy curing times, they can be used easily on highly porous materials, and they tend not to cause appreciable surface disfigurement. Adhesive tape samples are highly useful in the laboratory because they tend to preserve the arrangement of spores and spore-bearing structures, greatly assisting the process of identification. A number of genera of important indoor fungal contaminants may be recognized directly from spores alone (e.g. Chaetomium, Stachybotrys). Many more genera may be identified if spores as well as spore-bearing structures remain intact. Tape sampling is useful for 1) field collection of surfaces where fungal colonization is suspected; 2) laboratory sampling of bulk specimens; 3) laboratory preparations from cultures where the preservation of delicate microscopic structures is required for identification. 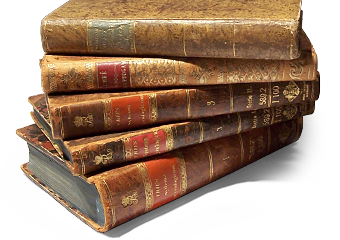 These media have a long shelf life and are very easy to handle in the field. If using optically clear adhesive tape (e.g. 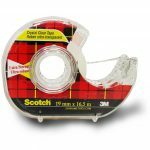 3M Scotch “Red Tartan” Brand tape), strip away and discard the leading 5–10 cm of tape, then remove a 2–5 cm segment for sampling. Tape used for sampling should be kept in a clean reclosable plastic bag and not be used for any other purpose. To control against cross-contamination, one field blank (unsampled tape lift handled similarly to actual field samples) should be taken and analyzed for each ten field samples. Press the adhesive tape or BioTape® against the surface to be tested. The collection of superficial debris from rough or irregular surfaces can be improved by gently rubbing the pad of your index finger against the backing of the tape. Replace the BioTape strip in the transport shell. 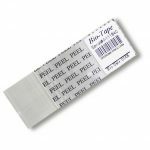 If using adhesive tape, adhere the tape strip to the interior surface of a sturdy closable plastic bag such as a zippered freezer bag (do not fold the tape onto itself). Direct microscopic examination of bulk and tape lift samples allows for the identification and semiquantification of fungal colonists on a surface. Results are normally reported on a genus by genus basis, with the numbers of spore and vegetative filaments described semiquantitatively (e.g., 1+, 2+, 3+, etc.). Fungal spores arising from outdoor materials are common in indoor settled dusts. Therefore, the simple observation of fungal spores on an indoor sample is insufficient to conclude that the surface is a fungal growth site. Usually, this determination requires the microscopic observation of both fungal filaments (vegetative hyphae/ mycelia/ spore-bearing structures) and spores.